Editor/Author Bohn, Yvonne, Hill, Allison and Park, Alane, et.al. The Mommy Docs Ultimate Guide to Pregnancy and Birth offers the most up-to-date medical guidance. 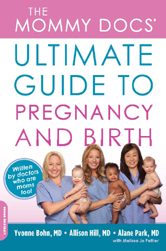 Its packed with real-life stories from new moms and practical tips straight from the Docs office.